I am currently working on several wireframes / mockups. The product I am designing will have a landing page with a parallax. What is the correct way of representing this in a wireframe? So far, I have a browser frame with a huge X box ( image ) inside it. Somehow, I feel this is not the right or best approach. I have not seen a standardized way of showing/indicating the parallax effect. 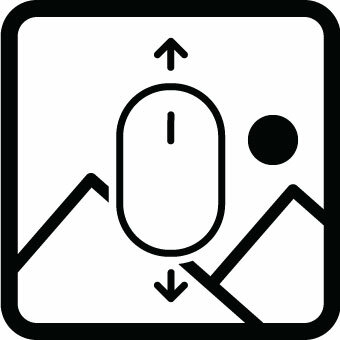 One idea is using the image icon with a mouse indicating it is moving up or down. I have no idea... But let us invent one right now! We could define an icon that can be used on the element. Circles do not work, looks like rings or a tube. If it becomes canonical in the future, remember where it came from! Not the answer you're looking for? Browse other questions tagged website-design images interface-design mockup wireframing or ask your own question. Modern design - What's that? Is there a graphic design specification system? Feedback: A simple registration form. How can I make it more clear? How to approach designing a landing page for a wholesale retailer without eCommerce?